Whenever you can gain a high vantage point on water you’re about to fish, you’re ahead of the game. One of the more common mistakes that guides see is an angler stumbling into a river before taking a few minutes to figure out what’s going on. Observation is an undervalued tool, and too. . . 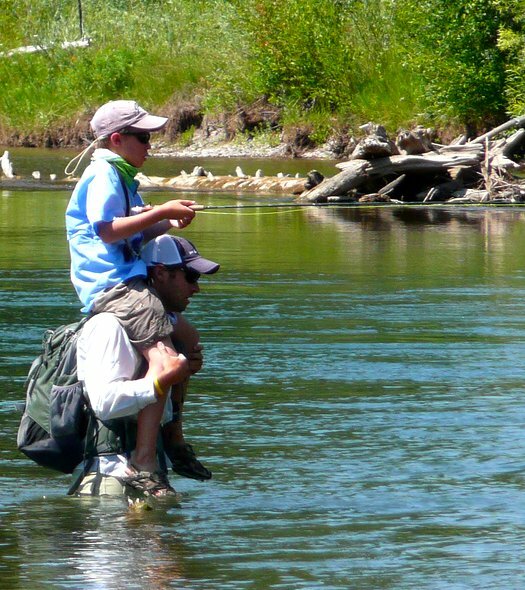 Introducing a kid to fly fishing can be a magical experience, and the start of a lifetime on the water. The sporting community spends a lot time thinking about ways to get the next generation involved, and fly fishers are no exception. Although we have seen a pretty good youth movement in . . . 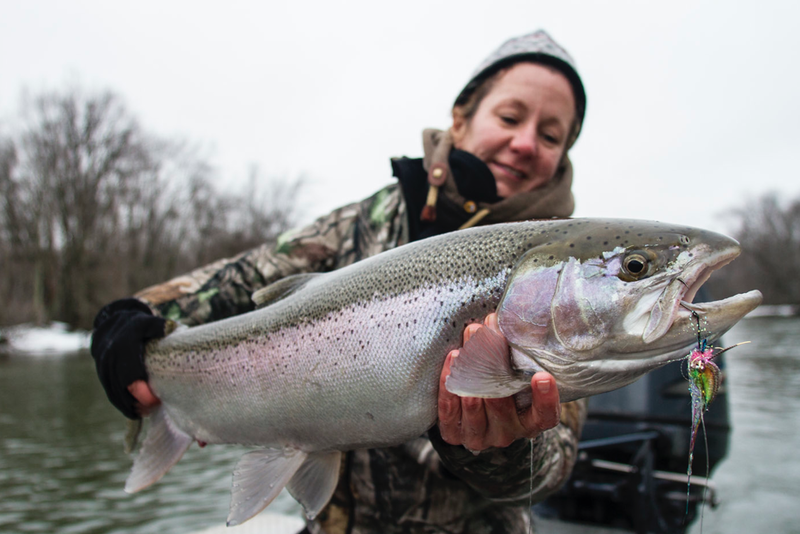 These five patterns will help you fish through the three-stage early season. Most fly anglers eagerly await the start of the spring steelhead run. Here what I believe are the top five spring steelhead flies and when to use them. Any list of the top five steelhead flies for spring. . .
Classic Photo: A Beast from the East, But Do You Know What It Is? That’s a trophy fish anywhere in the world, but it came from New Hampshire’s Connecticut River. Greg Inglis—who guides at Lopstick Outfitters in Pittsburg, New Hampshire—sent in this photo of a serious slab he caught while stripping streamers below Murphy Dam, on the Upper. . .
Orvis Charlotte Store Manager Mary Griffin caught this 22-inch South Holsten brown on a tiny midge imitation. Whether you are fishing the Bighorn, the Missouri, or a tailwater elsewhere in the country, midges are among the most important hatches. These tiny patterns have proven themselves as. . . Welcome to the latest edition of the Orvis News Friday Fly-Fishing Film Festival, in which we scour the Web for the best fly-fishing videos available. This week, we’ve got ten videos that cover a . . . Welcome to the latest edition of our weekly trivia challenge, in which we test your knowledge of all things fly fishing and where you might learn a thing or two about this sport we love. Here are . . . When I posted about the ways a client could help his or her guide, several folks suggested that there was another side to the story: how the guide should help his or her client have a good . . .
Where Should You Get the Canine Love of your Life? If you decide on a purebred puppy, look for a rescue organization of reputable breeder. After much thought, and, ideally, a lot of homework, you’ve made the decision: you’re ready to get a dog! But where? There are two good options (unless you have a friend who happens to . . .
Chicago’s North Pond Casting Pier Needs Your Support! The Windy City’s most famous public casting space is in jeopardy. The Windy City boasts a colorful history of politicians, mobsters, architectural landmarks, and, most recently, the world champion Chicago Cubs. Many fly fishers around the country might . . .